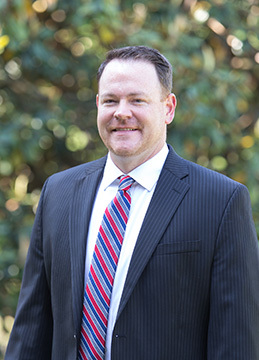 John Hurt graduated from the University of Alabama Birmingham's physician assistant program in 2002, and completed his Master’s degree in physician assistant studies at the University of Nebraska in 2013. He has been a physician assistant for 15 years and has clinical experience in cardiovascular and thoracic surgery, general surgery, emergency medicine, internal medicine and urgent care medicine. Hurt has always enjoyed teaching and mentoring students as was demonstrated by his years of being a clinical preceptor for physician assistants. This passion for education inspired John to begin is career in academics as he joined the University of Alabama Birmingham’s physician assistant program in 2013. During that time he taught courses in history and physical diagnosis, medical ethics, ACLS, surgical disease, and operating room techniques. Hurt joined Samford's faculty in December 2017, to develop a new physician assistant program within the School of Health Professions. Hurt enjoys the outdoors and is an avid hunter and fisherman. He and his wife Heather reside in Vestavia Hills, with their two boys William and Evan. Hurt JB, Maday KR, Management and Treatment of Animal Bites. Accepted for pending publication Journal of the American Academy of Physician Assistants. October 2016. Hurt JB, Maday KR. Recognition and Treatment of Envenomation; Journal of the American Academy of Physician Assistants. 2016 ;(29)7. Maday K, Hurt JB, Harrelson P. Treatment and Evaluation of Postoperative Fever; Journal of the American Academy of Physician Assistants. 2016 ;(29)10. KR Maday, Hurt J. The Definition of Sepsis: From Hippocrates to 2016. Advance for NPs and PAs, (Accepted for publication April 2017). Lang JD Jr1, Figueroa M, Chumley P, Aslan M, Hurt J, Tarpey MM, Alvarez B, Radi R, Freeman BA. Albumin and hydroxyethyl starch modulate oxidative inflammatory injury to vascular endothelium: Anesthesiology. 2004; 100(1):51-8. Bloodsworth A1, O'Donnell VB, Batinic-Haberle I, Chumley PH, Hurt JB, Day BJ, Crow JP, Freeman BA. Manganese-porphyrin reactions with lipids and lipoproteins. Free Radical Biological Medicine. 2000 ;28(7):1017-29.